Today’s bride and groom are constantly searching for something different to introduce into their big day. 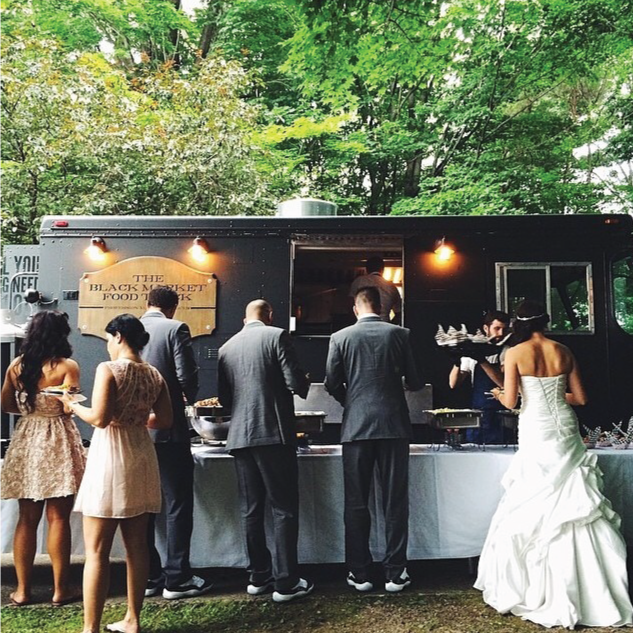 Bring in a taste of home (quite literally) by having a specialty Buffalo food truck parked outside your reception venue. In the midst of a night full of dancing, drinks and fun, why not chow down on some delicious late night snacks? 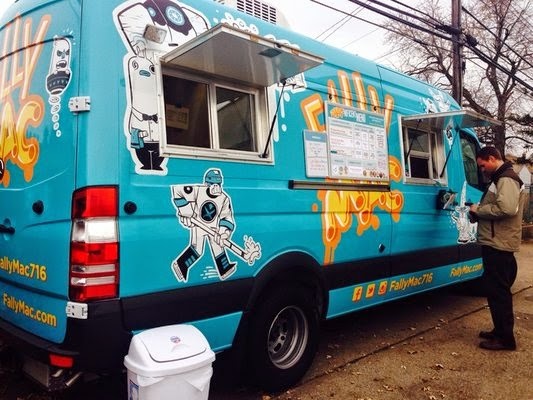 Food trucks are a trend we can totally raise a glass to. By now, everyone knows about Food Truck Tuesdays in the Larkin Center, but next week, think of it as scouting. Try as many different trucks as you can and choose your favorite! Food trucks are a fun way to include the not so fancy food we all love, but wouldn’t dare serve at the reception dinner. 1. All the way from Rochester, N.Y. 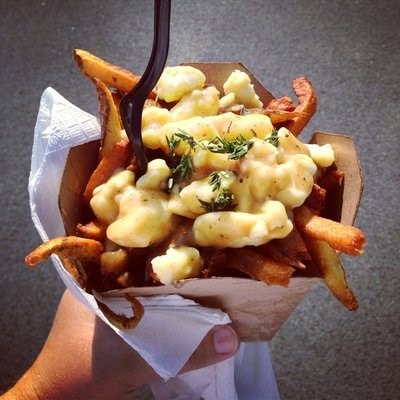 Le Petite Poutine makes it’s appearance at Food Truck Tuesdays to serve up everyone’s favorite Canadian delicacy. Started with hand cut fries, topped with homemade brown gravy and fresh cheese curds and finished with fresh thyme, this truck is sure to please. 2. 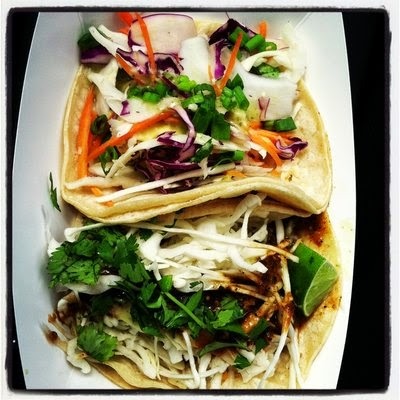 Buffalo’s newest classic in the food scene, Lloyd Taco Truck is a name Buffalonians all know and salivate at the sound of. Serving up Mexican made from nothing but the best ingredients, (no really, check out how serious they are) Lloyd’s manages to please vegetarians and carnivores alike. 3. Find yourself surrounded by a majority of vegans or vegetarians at your wedding? 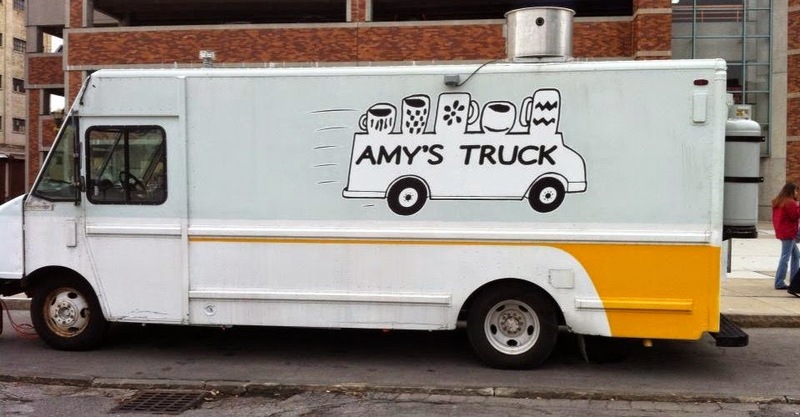 Go with Amy’s Truck, a Mediterranean take on vegan cuisine. Don’t worry, there are plenty of options for meat eaters too! 4. 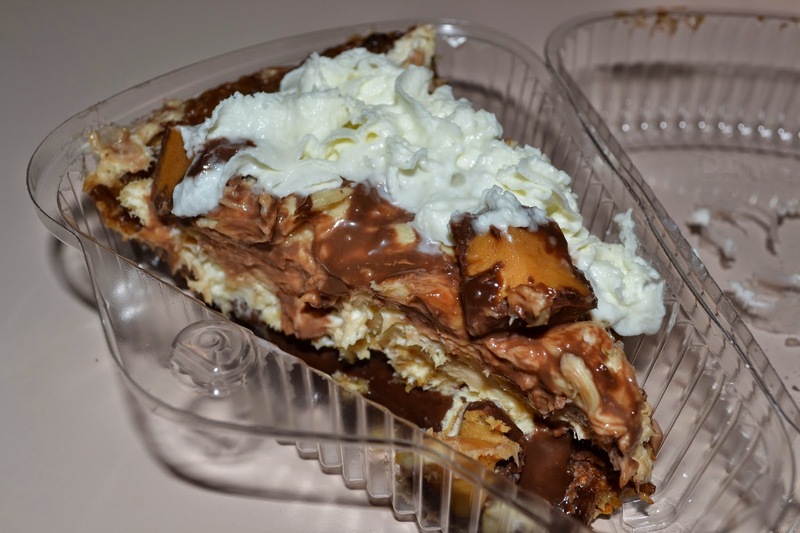 If you have a sweet tooth, Buffalo’s first dessert food truck Sweet Hearth dishes out unique and tasty treats that will satisfy any wedding crowd. Baking things the old fashioned way, this truck will take even grandma’s famous pies for a ride. 5. Calling all foodies! Black Market Food Truck serves some of the most unique and delicious gourmet cuisine on wheels. Sandwiches are sure to please the late night crowd, but be sure to try their variations on arancini (Italian rice balls) for a real delight. 6. Looking for a real, down-home delicious food to feed the masses at your reception? Look no further than The Whole Hog. 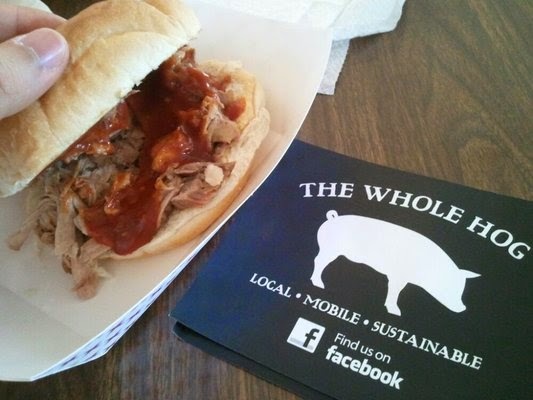 This truck uses only the freshest local produce and humanely sourced meat to create their delicious menu items. 7. Cheesy Chick knows how to get down with some simple ingredients. 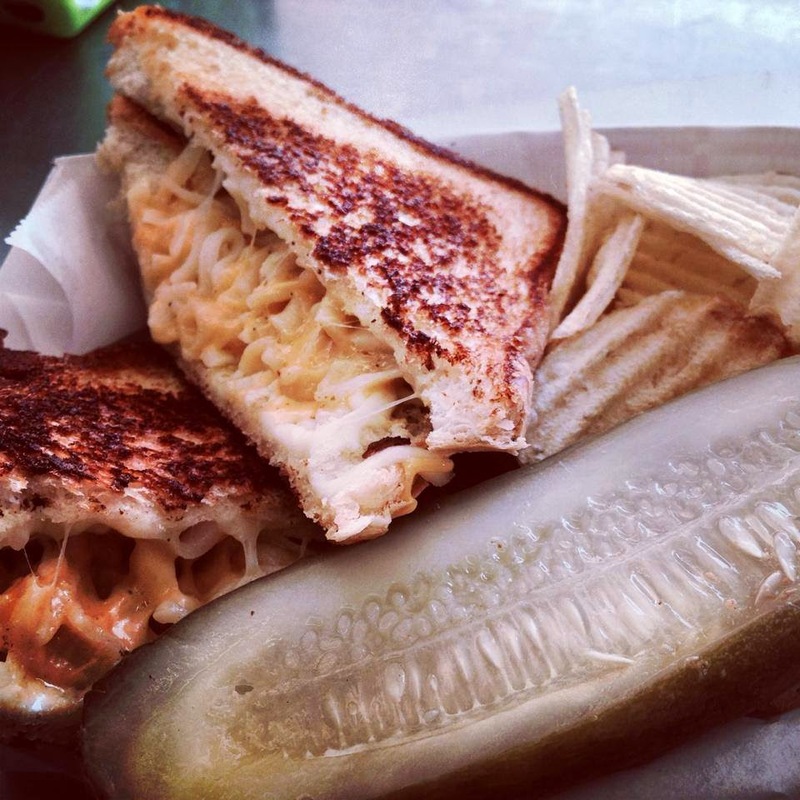 The truck serves nothing but variations on grilled cheese, and we are totally ok with it. This truck will please everyone from the flower girl to the grandmother, guaranteed. 8. Comfort food doesn’t get any better than mac and cheese, right? FallyMac’s twist on mom’s classic creamy style is sure to please guests of all ages. There are options to keep it simple with a classic style, or try something new like Crawfish Mac. Don’t want a whole truck parked at the reception? 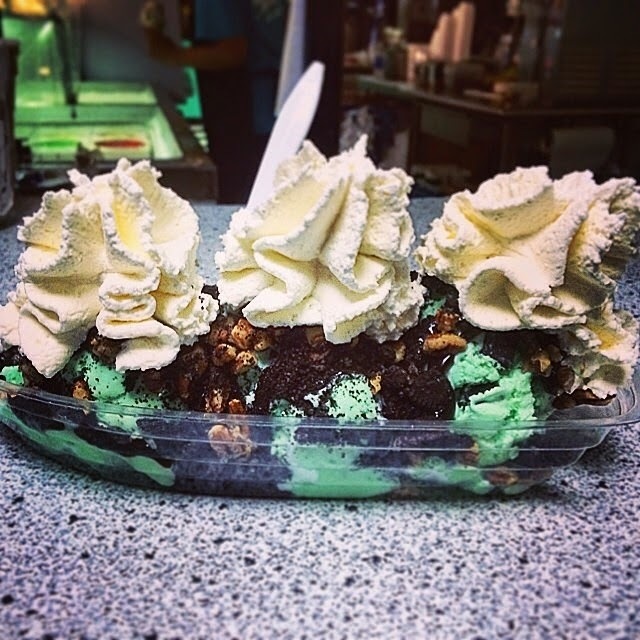 Southtown’s favorite Nick Charlap’s Ice Cream can set up a sundae bar that’s sure to please the kid in everyone. Simply have the reception site set out extra spoons and martini glasses to make your special treat wedding worthy.